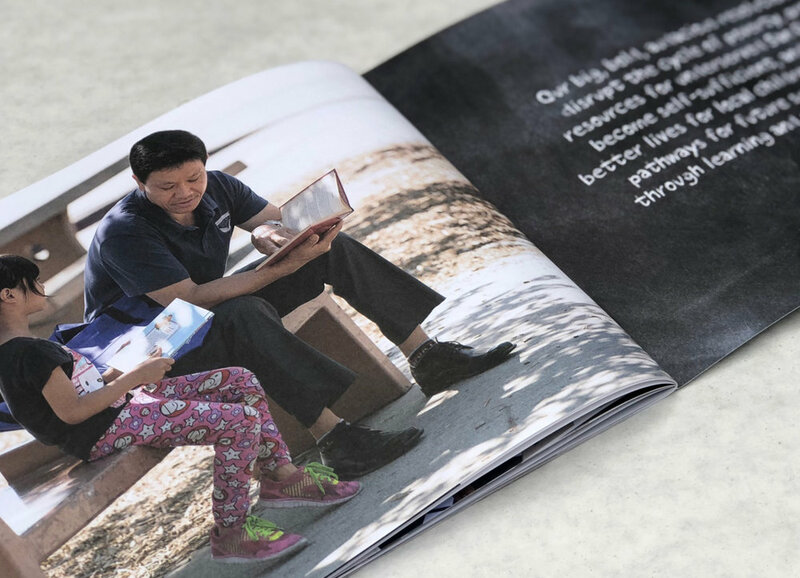 The 2015-16 Annual Report reflects on the organization our community, business, and school partners have made with a full-scale, all-in commitment to change the odds for San Diego’s children. What does that mean? All children deserve the opportunity to become whatever they want to be! Education is the gateway for them to discover the vast possibilities of what’s imaginable for their futures. Yet, thousands of children in our local communities never get that chance. 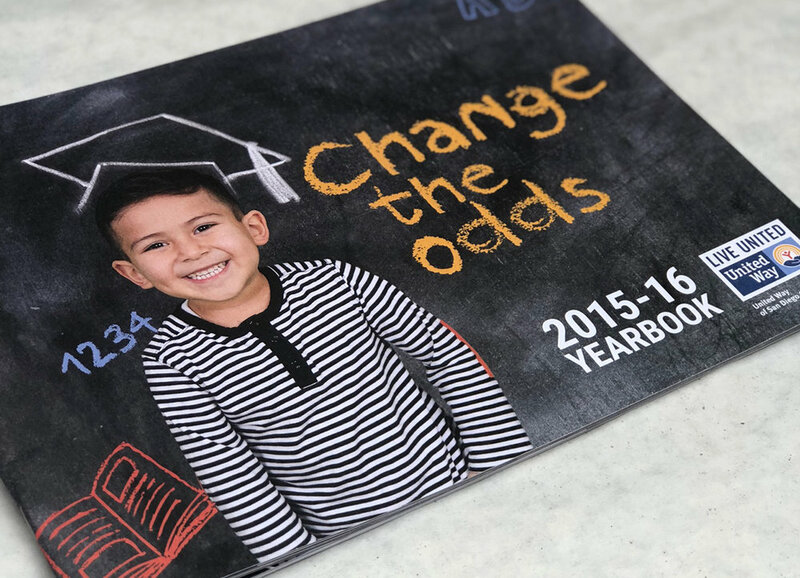 UWSD works to solve these complex issues too many children face that prevent them from succeeding in school, starting in kindergarten, advancing through high school graduation, and going on to college or career. 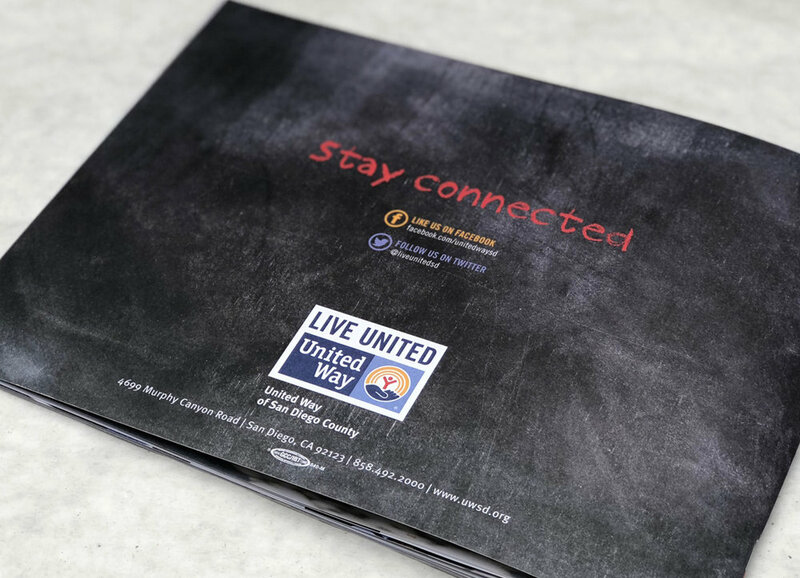 The “yearbook” theme ties in with school and education, and was a fun way to display all the achievements and happenings that were made possible through United Way. Everything from the chalkboard, to the taped-up photos, to the post-it notes gave the report a unique and visually entertaining look at the very important work being done in the community. 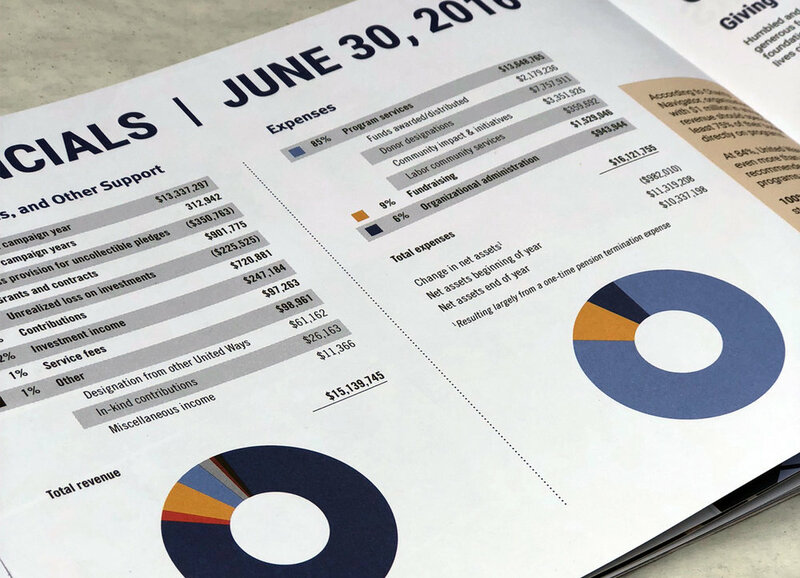 This report won a bronze award at the 2017 SDX American Advertising Awards.